Cheney, Wash – Eagles ride high octane offense to second straight win behind strong goaltending performance by Jake Bowen. Two different Eastern Washington University players earn hat-tricks in blowout win. Eastern Washington University netted five goals in the first period including Mitch Hunt and Matt Lucero each netting their first two of the night while their line mate Bobby LaRue added one as well. 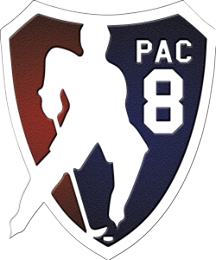 Pace slowed in the second period with just a single goal being scored by Mitch Hunt, his third of the contest after Western Washington University swapped goaltenders, giving Anna Stensland her first ever ACHA game action. The third period was again full of action with Matt Lucero earning a hat-trick of his own and newcomer Ajay Mahesh potting one in his second game with the Eagles. Zach Meicho added a marker for Eastern and the lone tally for the Vikings came on the powerplay from Aidan Knabb. Eastern would walk away with a 9-1 victory over their cross state rival. Freshman Mitch Hunt exits the weekend with a team leading 20 points, 17th in the country, following his five point performance and goaltender Jake Bowen sits 15th in country with a save percentage of .964. The EWU Eagles will head out on the road next week when they face the Montana Tech Diggers in their first road contest against a non-PAC8 opponent since joining the conference over the summer. EWU will return home to face the Washington State Cougars on October 26th at the EWU URC.